First of all i would say THE ANDROID PIE FOR NOKIA 8 IS OF NO GOOD. There are no much improvements other than the cosmetic changes of pie ui. First of all i would say THE ANDROID PIE FOR NOKIA 8 IS OF NO GOOD. There are no much improvements other than the cosmetic changes of pie ui. Battery drain on standby is so huge. So huge that i lost around 20 PERCENT of battery while doing nothing. APPS ARE STILL RUNNING IN BACKGROUND EVEN THOUGH ADAPTIVE BATTERY IS TURNED ON. 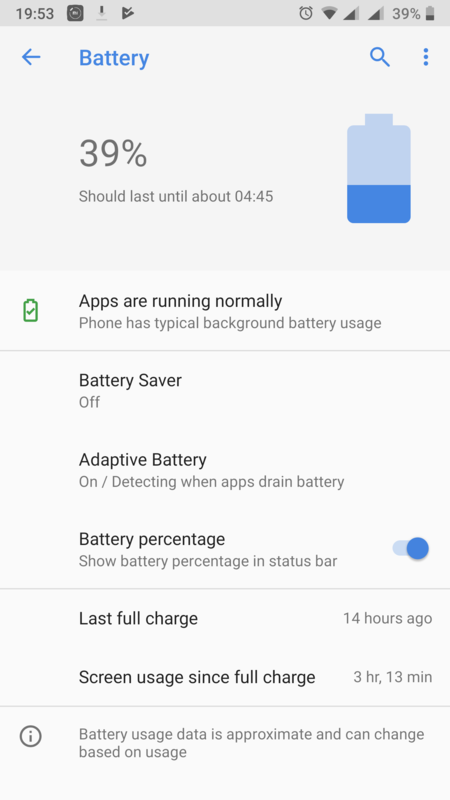 the older battery saver on oreo 8.1 WAS FAR BETTER. People who deal with this software upgrades, do something ASAP. I lost an opportunity to do a presentation today because of this severe battery drain. SOMEBODY DO SOMETHING PLEASE. I'm on the December pie (v5.110) and indeed, the battery just drains significantly faster, specially after the January security patch. I too hope for some proper optimisations. 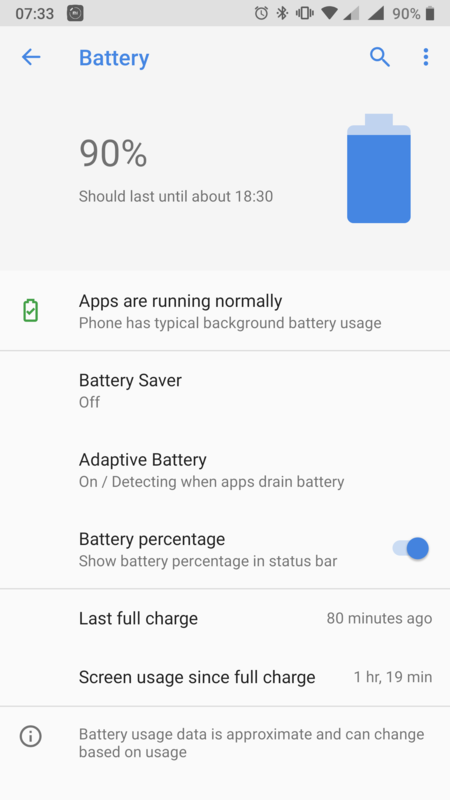 Edit: it's worth mentioning that I've killed that "battery protection" app (the evenwell g3 package - see https://dontkillmyapp.com/), which is held responsible for mindlessly killing background apps. I've had some instances when, for example, the alarm would not run, I was literally a couple of hours late for work because of this. Inexcusable trade-off that we're being forced to choose from! I am on the beta still and mine is fine, however i have the "battery manager" as it is called in the beta turned off, it just seems to add apps willynilly and is a bit pants really. Glad i am on the beta then looking at what people are getting, my phone came off charge 4 hours ago and has 95% left (albeit with only 20mins SOT). Who knows what they will do mate, i cant weigh Nokia up at all. But i lost an opportunity today because of this **** standby drain. DEAR NOKIA, PLEASE DO SOMETHING. Is there any way i can go back to that build? Something we all really need is battery. Next security patch? Next month? Oh god!!! 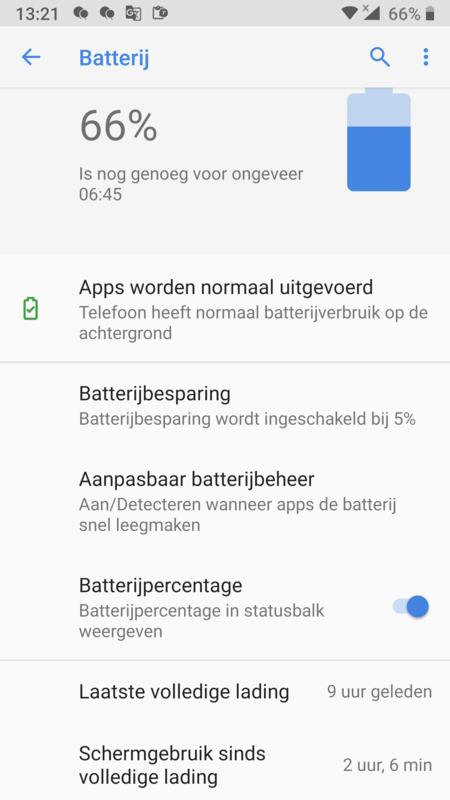 I haven't noticed any really obvious changes in the battery life for better or worse after upgrading first to the Pie beta and lately the final(?) Pie. I don't doubt that the issue is real for some devices though, so there must be something specific that triggers it. No battery problems. 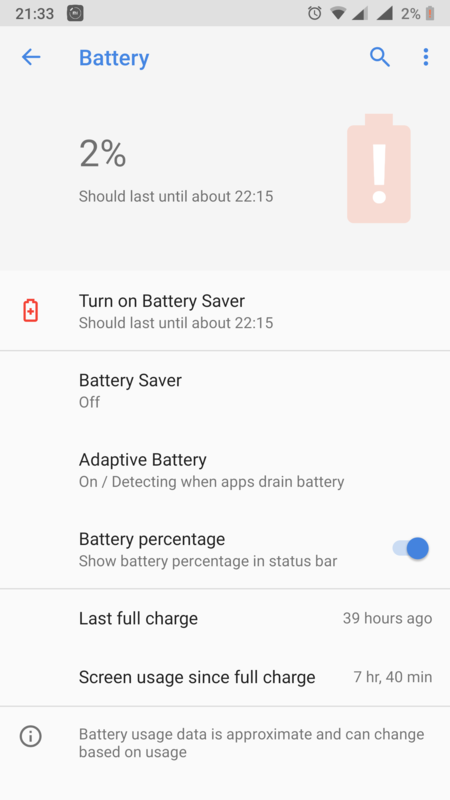 9 hours on standby, screen usage 2 hours and 6 minutes. Still 66%. Battery protection (see @marsic) on. I stopped this app some time ago, but it starts again after a restart. Perhaps a good idea not to stop Battery protection - Nokia may have changed its misbehaviour in the February update. I have the same problem. On the Pie beta version all are good. Now i loose at least 20% in pure standby for every 8 hours (while i sleep). 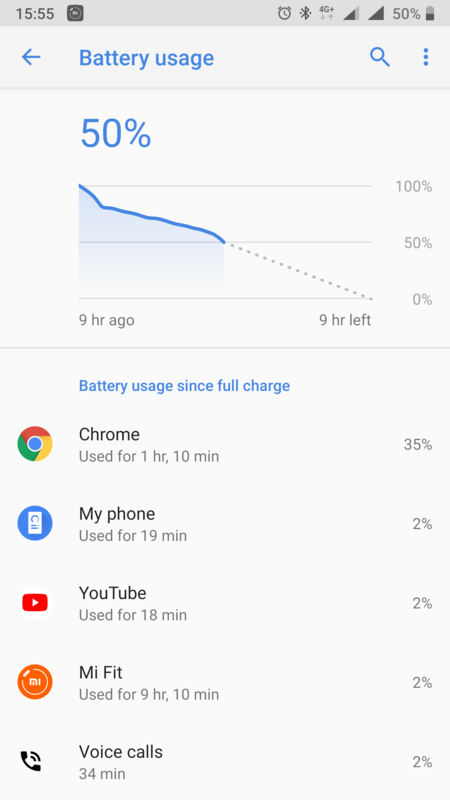 Yesterday i used 79% of the battery for the same use. I think the battery life is the same as Oreo. My phone is all day on mobile data 4G, second sim is on 3G. Bluetooth is connected to MiBand3 and hands free. If I was on WiFi will do easily 4 or 5 hours SoT with the first 50%. Please contact HMD Global - they make Nokia's phones and tell them, either through the chat or mailing Support. They don't read this. I did notice a little more battary drain already with first Pie update but after a few days it was back to normal again. Then why on earth do we have this community? HMD wants customers to help each other because it doesn't want to hire additional support. Finally back in home. 14 hours later still almost 40% and over 3 hours SoT. Is this batter drain for you? 2 hours only on WiFi and rest of the day on 4G mobile data. 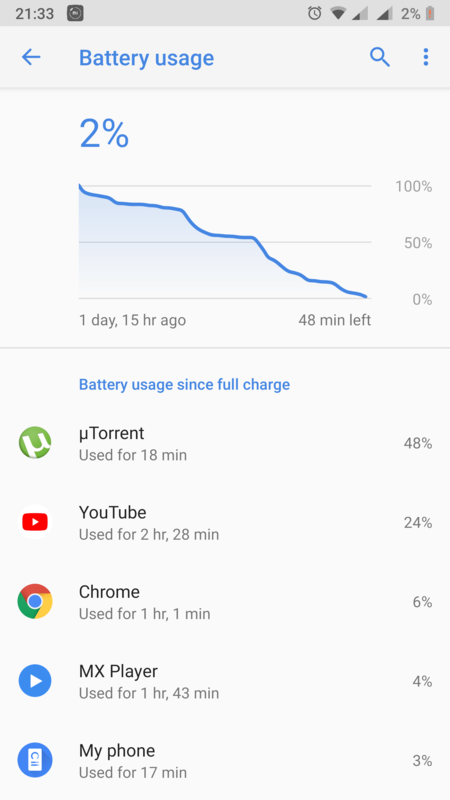 I don't see battery drain as a problem for majority of users after Pie update. Issues with compass, fingerprint, voice match are experienced by almost all, and there are users in some regions who have broken VoLTE. Heavy battery drain commonly occurs when process of updating didn't go as intended and factory reset usually fixes that. After some reboot all is now in order. The battery drain has gone. I dont know what was cause it. i hope it will not appear again. About how many times you rebooted? I was making some try. After 3 or so reboot to test some apps. As nothing changed, i removed the all the battery apps and made one last reboot and no more issue for now. Perhaps a so "optimizing battery app" issue or some settings has been reset by removing them. What about the battery drain? After the February security patch everything for me is perfect.